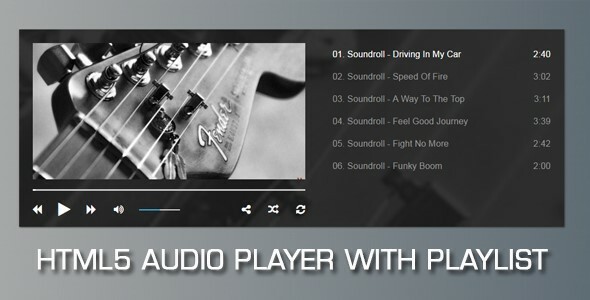 Audio Player with Playlist V2 - CODELISTPRO | Free Premium Scripts, Plugins, Apps Source Code. This is the most popular HTML5 Audio Player with Playlist, and comes with large amount of skins and presets ready for use! This versatile audio player offers HUGE amount of customization options and layout possibilities. By using the basic css skills, player can be restyled into pretty much anything! Just check demo examples to get you imagination going.